I'm a super busy mom of 6 so my time is packed with chores, birthday parties, school events, being a mom and wife as well as a business owner. Documenting our memories was always a desire but lower priority. 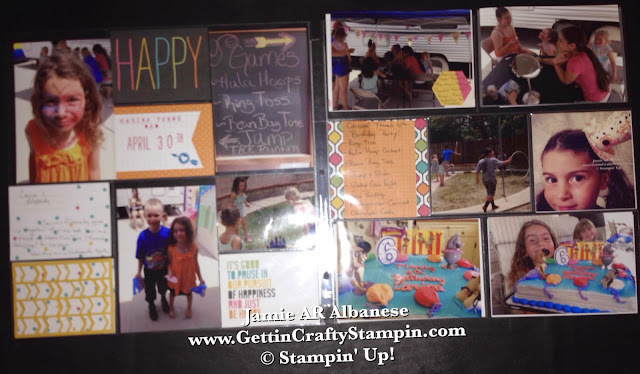 The original version of scrapbooking was pretty involved and I didn't have the time for it. 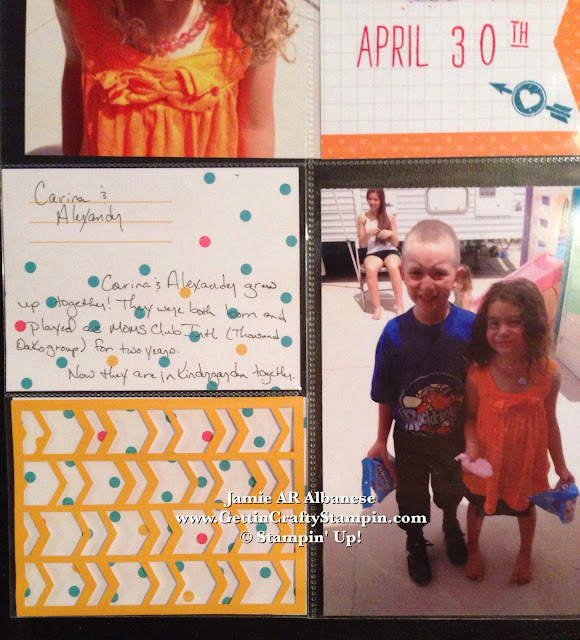 With the NEW Project Life system I can quickly create pages that Celebrate our Memories while not taking away from time with my family!! You can be super crafty with it or NOT!! I love this new System! 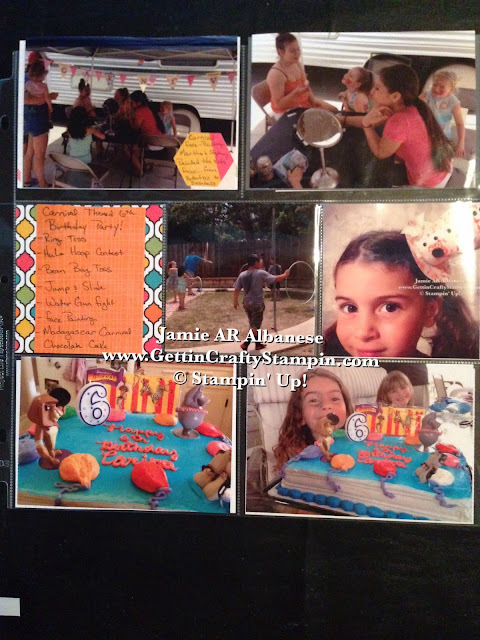 Tune in and see my Weekly 'Memory Celebrating Monday' posts and Celebrate Life with ME!! With this coordinated Card Collections, Project Life Photo Pocket Pages and my Groove Book collection of pictures from my iPhone I'm ready to Document and Celebrate our Memories. Here our big girl turned 6! 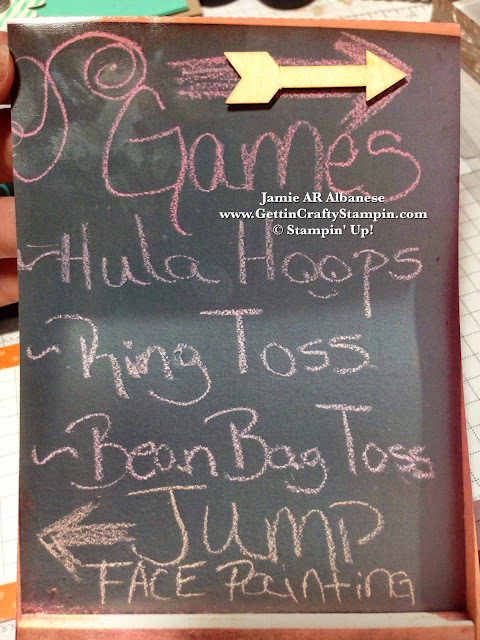 I love the Carnival themed parties on Pinterest and how it was affordable! So we had a fun Carnival themed 6th birthday where our daughter invited her Kindergarden class for a fun filled morning!! Here family friends, Martha and Stephany, were our Face Painters! Oh did the kids LOVE this - from Baseballs to Butterflies - they also loved the attention of these two lovely girls. 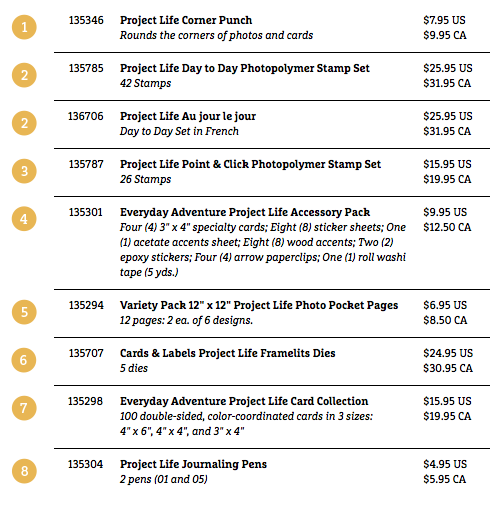 Accent and journal a small note on the picture with our Everyday Adventure Project Life Accessory Pack - it has these grey accents that perfectly coordinate!! Documenting memories... this young boy was a baby when he and our daughter met through the Moms Club. Now they attend kindergarten together! What a blessed life we live!! The Cards from the Everyday Adventure Card Collection and Accessory Pack has fun patterns that celebrate many memories in our colorful life!! 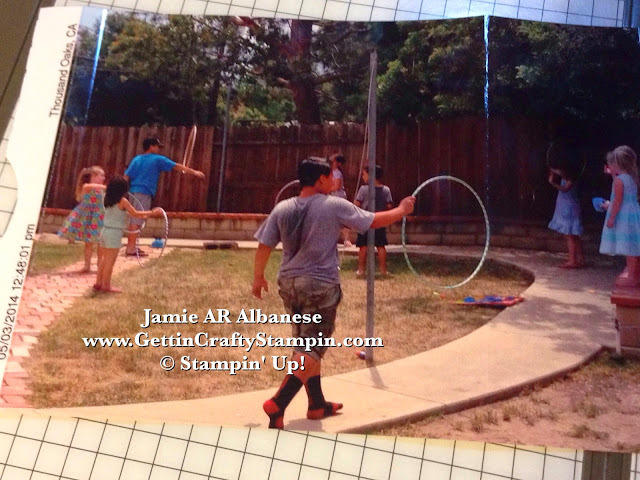 So, when a picture is too big to fit into the pocket system you can do several things... here I used the Stampin' Trimmer to SCORE a line across this Hula Hoop Contest photo (my nephew led the kids in this contest - lol). 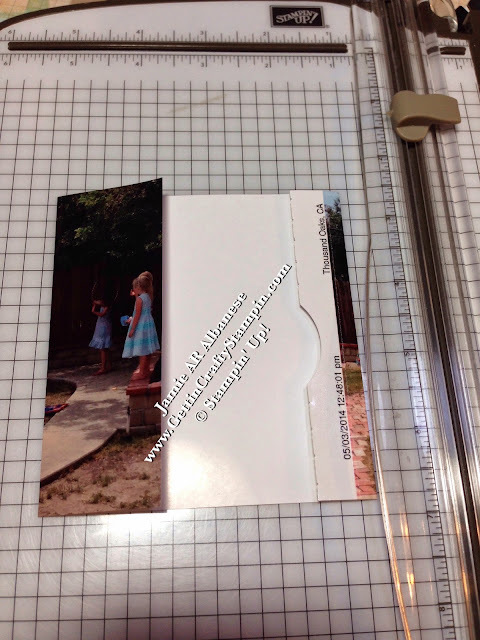 I didn't want to cut off the kids, so by scoring a line to fit the pocket, I can tuck them behind the photo (incase my daughter wants to look at it down the line). I don't know about you, sometimes it's hard to cut OFF a person from a picture - this is a great alternative!! 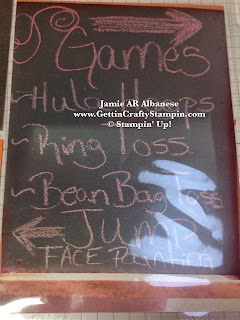 We had a large Chalk Board (from our oldest daughter's younger days) and gave directions to where the activiites were! With a 1/2 acre and having the food in the middle, this was a fun way to direct the kids. 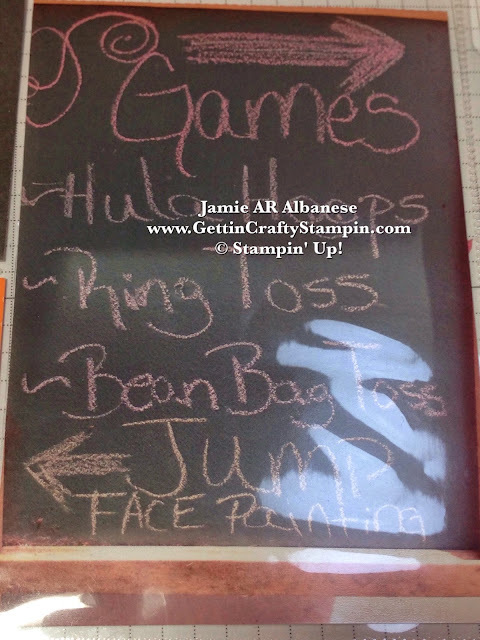 Using this Wood Arrow from the Accessory Pack and two glue dots, it gave me a fun opportunity to accessories our page!! How FUN this is!! 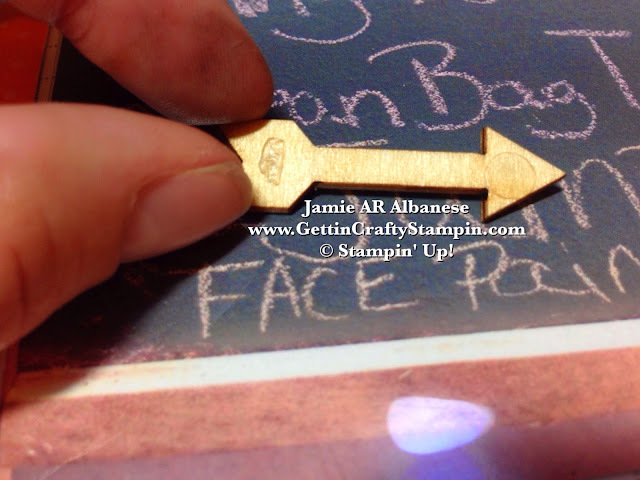 I love the wood arrow on my Chalk Picture that gives a 3D accent to our page. 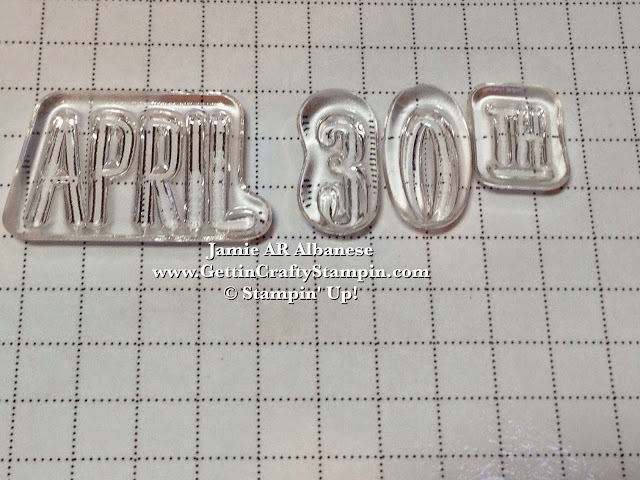 I really love this NEW Alphabet Rotary Stamp!! 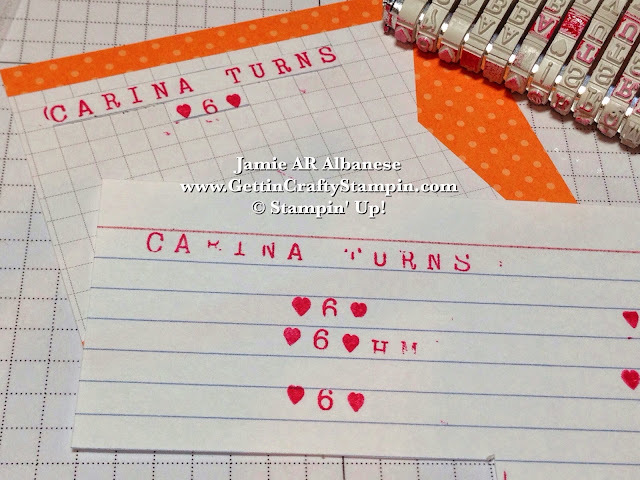 I did learn to stamp the sentiment, FIRST, on a Spare piece of paper. Here it is new and took me a few try's.. but the end results are a fun personalized accent for my baby girl! 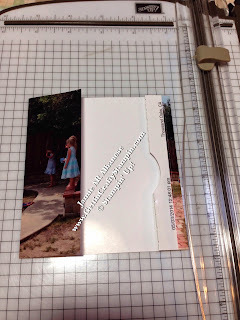 LINE UP your Polymer Stamps using our Graph Paper. 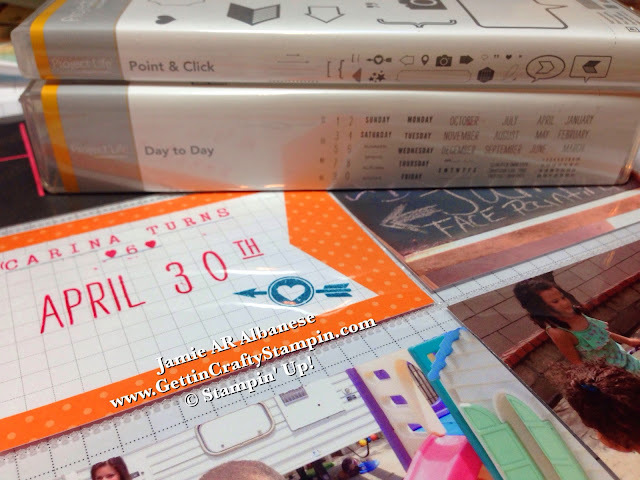 I always use the Grid Paper under what I am crafting and stamping so that I don't get the project dirty or stamp on my table. 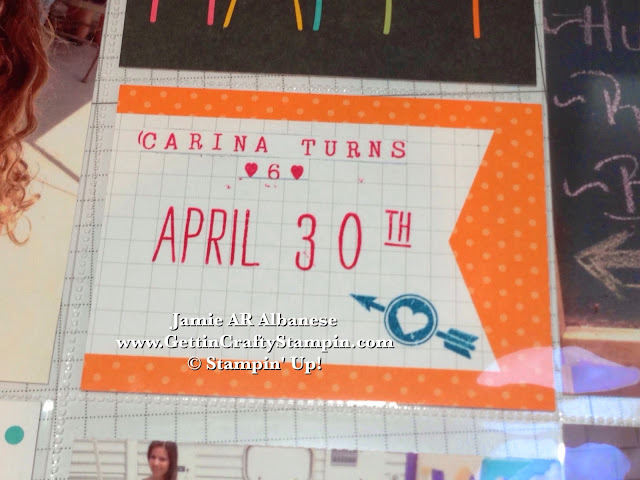 Here it helps to line up your stamps so that you can use ONE Clear Block and keep the image straight. Easy Peasy! 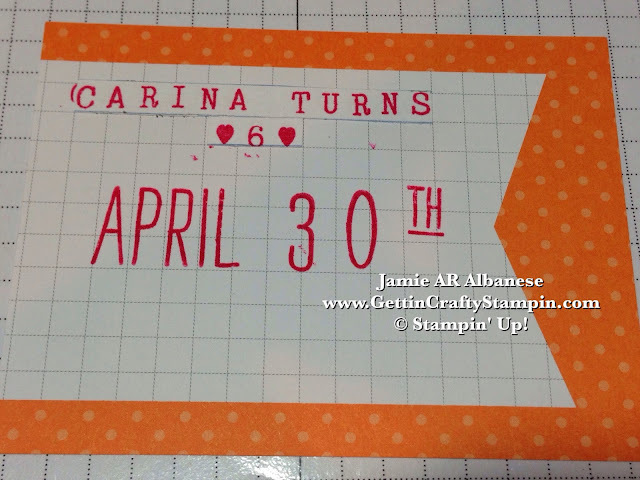 With the Project Life Day to Day stamp set I can mark the date that this fun occurred and do so with our coordinating inks for easy documenting! My girl loves color (she gets that from her Momma, lol). 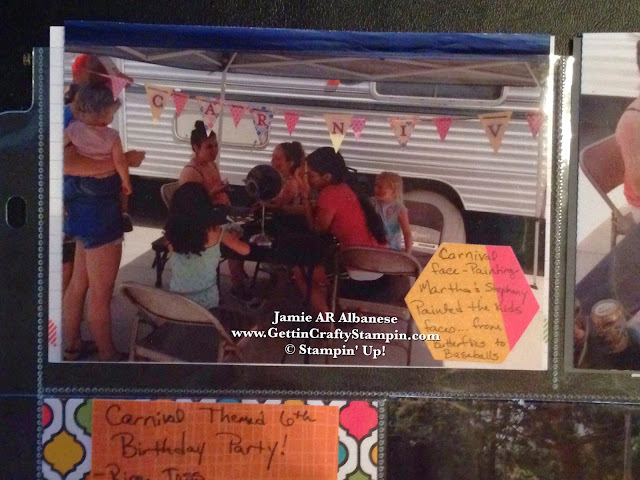 Here these bold cards, coordinating stamps and inks allows my page to be personalized to her, her style and the party!! 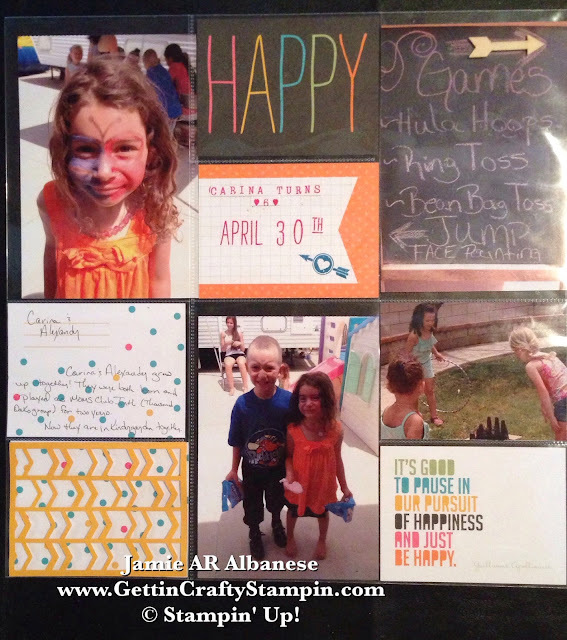 With very little thought, I can look awesome in my crafting and leaving a fun legacy of memories for my kids!! 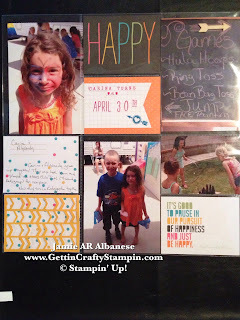 The Project Life stamp sets are super fun and can totally work with my card making, party decorating and more!! Here it documents the timeline for our life!! As a blessed Wife, Mom and Business Owner - I often feel like my life isn't my own!! 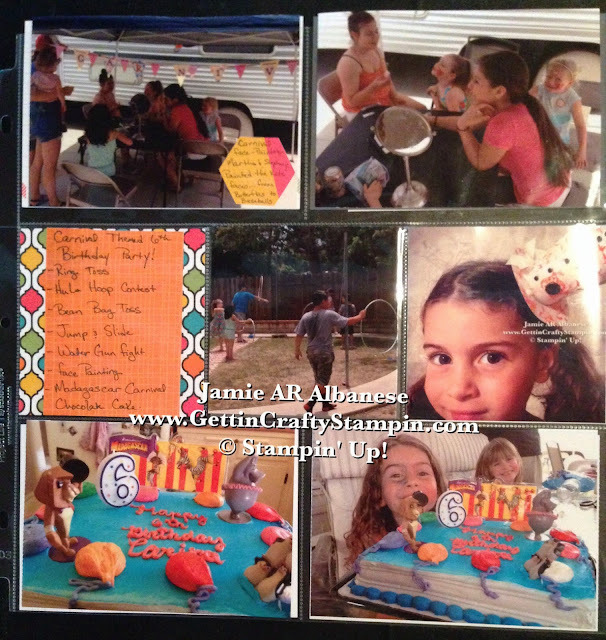 This quick process for Documenting and Celebrating our Memories and Life takes a load of guilt off of my shoulders. Here I can create clean pages of our memories, quickly, and my family loves to poor over what I've done. Making my family feel special is just the BONUS to (a) Taking Photos of our Life (b) Printing these Photos - thanks Groove Book!!! (c) Actually Documenting our Life in a way that looks good while not taking away from my living our busy, blessed life!! WHEW!! So JOIN ME and Celebrate Life - it changes in the blink of an eye, sigh.